Safari Packages “Fly & Lodge” are the most exclusive way to experience the breath-taking beauties of this region: prestigious lodges located in the most fascinating and spectacular areas of the Parks, exclusive Safari activities conducted by some of the best and most dedicated guides in the industry, meals cooked by excellent chefs and inter-camp charter flights will make you live experiences that you won’t forget for the rest of your life. 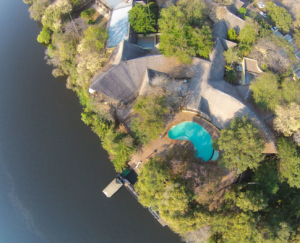 African View Tours and Safaris’ Experts have traveled extensively throughout the region and personally hand-picked the best lodges for each cost-brackets, in order to create exclusive Safari Packages for all price-ranges. Safari Packages “Fly & Lodge” are the ideal choice for all those who want to transfer with domestic inter-camp flights (or with short road transfers, based on the destinations and the price-bracket) and who chose All-inclusive accommodations providing all meals, game viewing activities operated by the lodges, laundry services, etc. in order to experience the best this region has to offer without compromises. The cost per person is usually higher compared to mobile safaris, but this higher cost is motivated by premium luxury services, where “luxury” is provided by the exclusivity of the of the locations visited.